Lighting the Fires of Freedom: African American Women in the Civil Rights Movement | Free eBooks Download - EBOOKEE! Janet Dewart Bell, "Lighting the Fires of Freedom: African American Women in the Civil Rights Movement"
One of Book Riot's "29 Amazing New Books Coming in 2018"
In Lighting the Fires of Freedom Janet Dewart Bell shines a light on women's all-too-often overlooked achievements in the Movement. Through wide-ranging conversations with nine women, several now in their nineties with decades of untold stories, we hear what ignited and fueled their activism, as Bell vividly captures their inspiring voices. Lighting the Fires of Freedom offers these deeply personal and intimate accounts of extraordinary struggles for justice that resulted in profound social change, stories that remain important and relevant today. 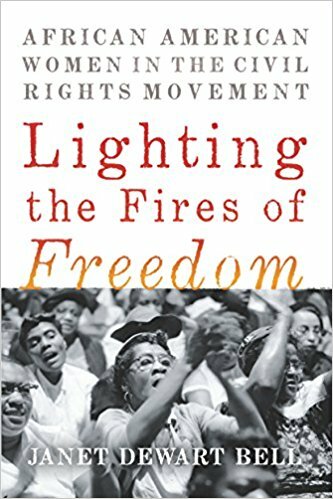 Published to coincide with the fiftieth anniversary of the Civil Rights Act of 1968, Lighting the Fires of Freedom is a vital document for understanding the Civil Rights Movement and an enduring testament to the vitality of women's leadership during one of the most dramatic periods of American history. No comments for "Lighting the Fires of Freedom: African American Women in the Civil Rights Movement".